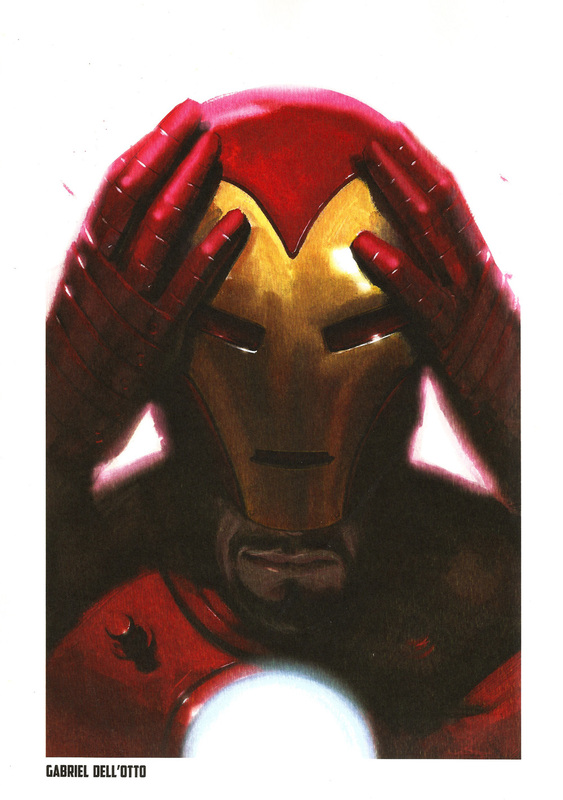 Iron Man Steel Gallery Portfolio (2014) | 'TAIN'T THE MEAT… IT'S THE HUMANITY! 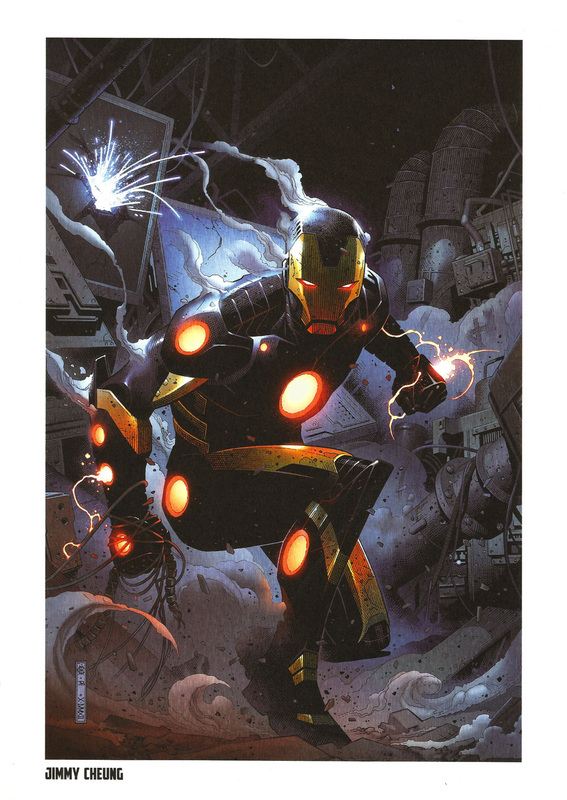 Released by Semic in 2014 the Iron Man Steel Gallery Portfolio contains ten full-colour reprints featuring the Golden Avenger as depicted by some of the comic industry’s biggest stars. 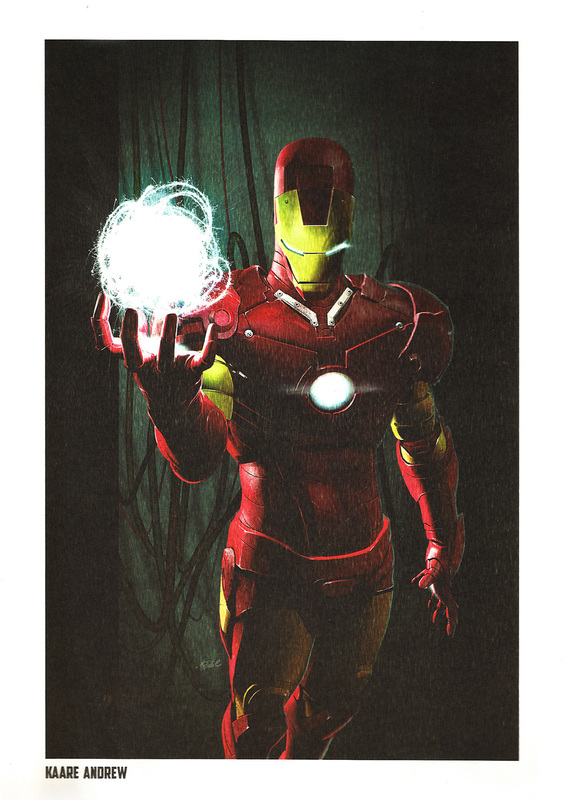 This collection contains nine A4 (210 x 297mm) high-quality prints and one 170 x 260mm tin plate. 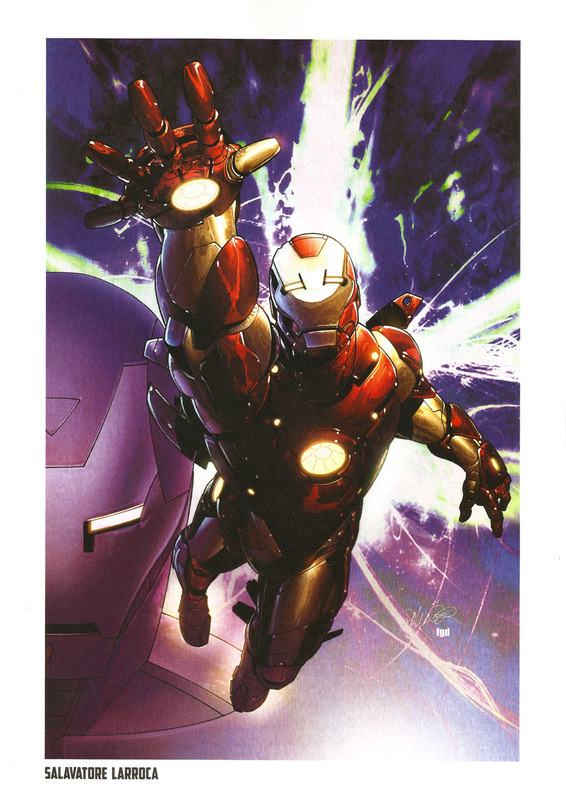 The portfolio reprints recent Marvel Comics covers featuring Iron Man as interpreted by eight artists – Adi Granov, Marko Djurdjevic, Salvador Larroca (who is mistakenly credited as ‘Salavatore’), Greg Land, Gabriel Dell’Otto, Takeshi Miyazawa, Jimmy Cheung and Kaare Andrew. 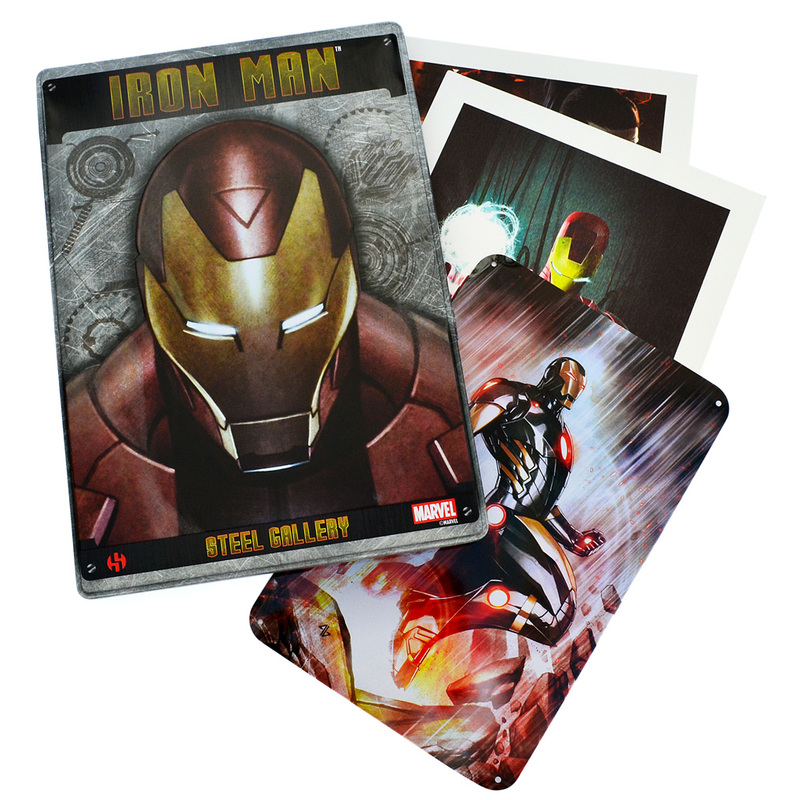 The Iron Man Steel Gallery Portfolio ships in a sturdy 220 x 310mm tin box that features embossing around the edge of the cover image. 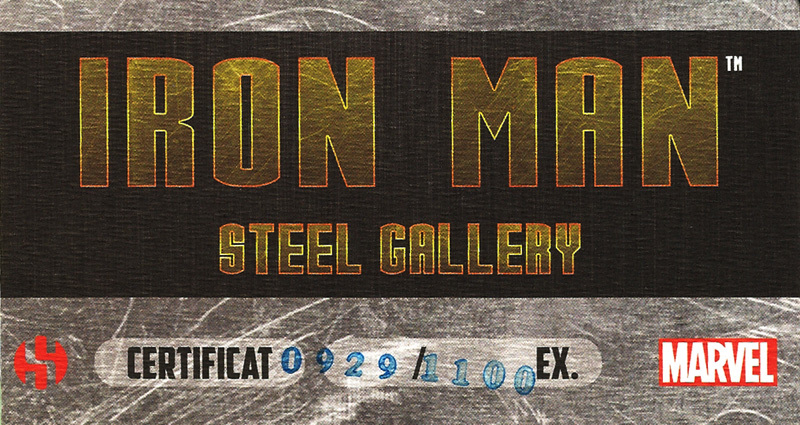 The portfolio is limited to 1,110 editions and also includes a small certificate of authenticity – this portfolio is numbered #929. The portfolio retails for €25 (around £18) and is available from various online outlets as well as Semic’s own website. 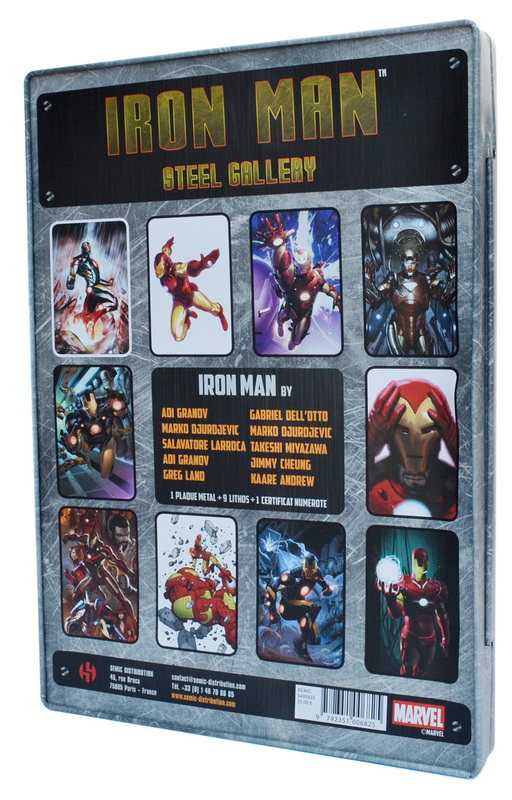 After the disappointment of the lacklustre Spider-Man Steel Gallery (click here for my review) I’m happy to say this collection is a great deal stronger. 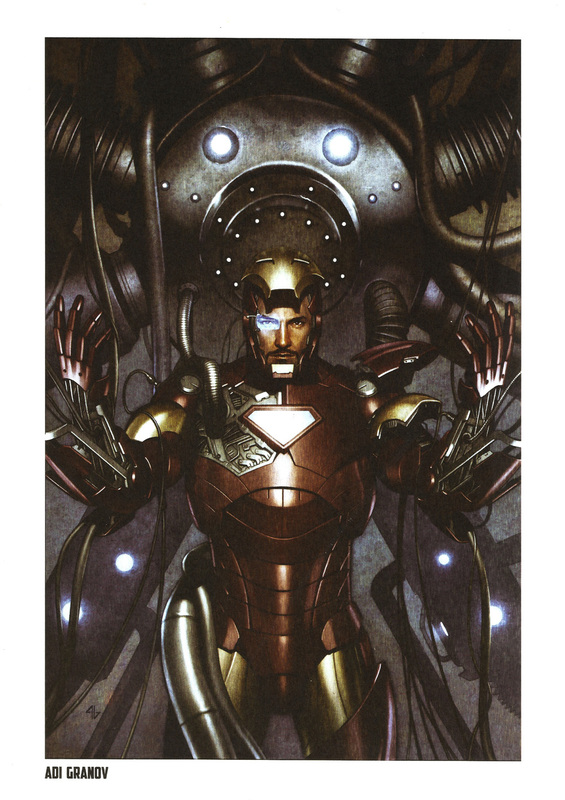 Takeshi Miyazawa and Jimmy Cheung’s artwork is very impressive and show Iron Man at his powerful best. 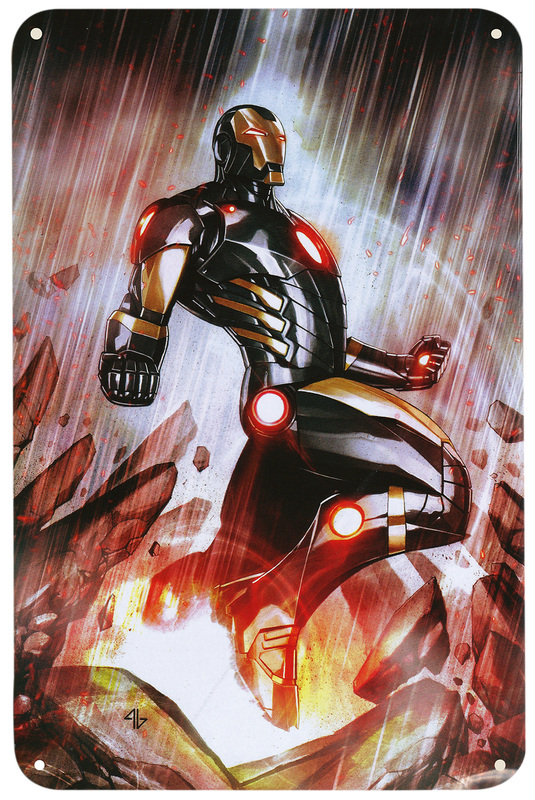 Kaare Andrew’s brooding Avenger is also terrific, as is Marko Djurdjevic’s depiction of the hero in his classic red and gold armour. 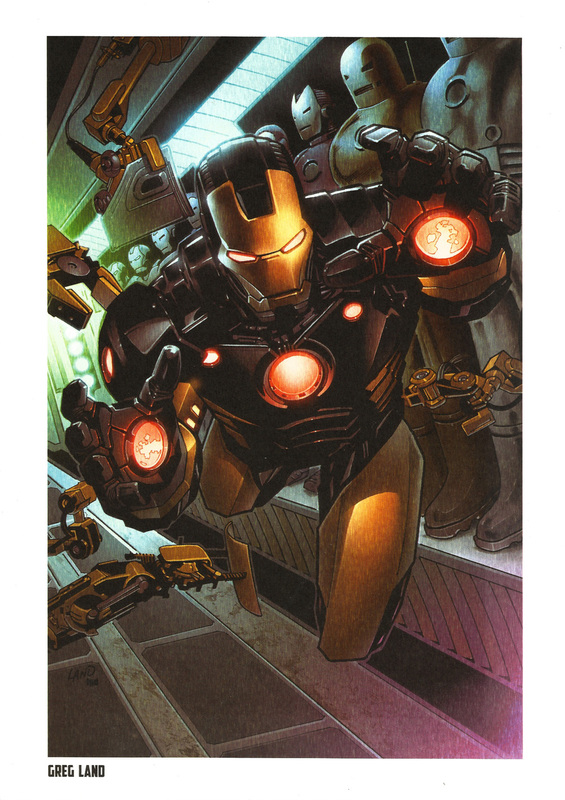 Both Djurdjevic and Adi Granov have two pieces of artwork in this collection, and all four prints are eye-catching and beautifully detailed. 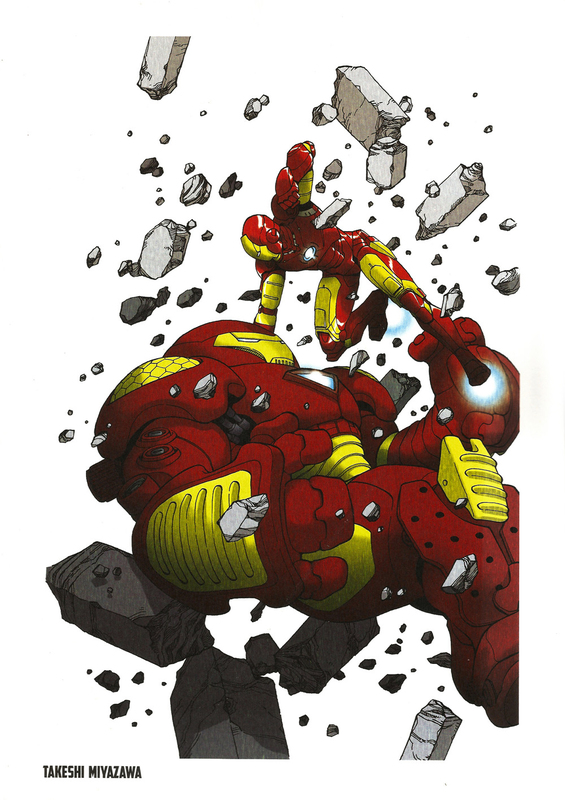 Over the last decade few artists have had such an impact on the look of Iron Man as Granov so it’s only fitting that his work appears twice. 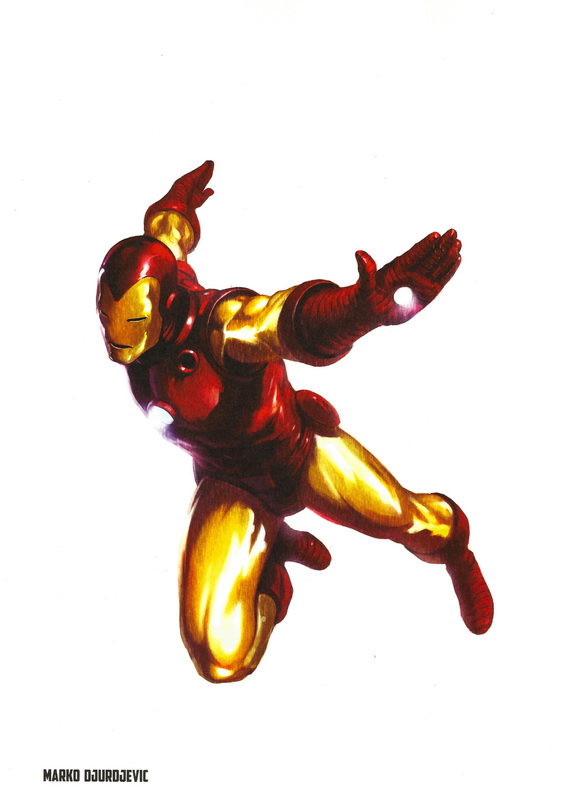 From a production and repro standpoint the plates are printed on high-quality watercolour stock that holds the colour and detail of the artwork very well. The tin plate also looks very good and – considering it’s printed on a non-porous material – suffers very little from loss of detail. And shipping the collection in a tin box is a nice touch from Semic, especially considering the subject matter for this particular collection. 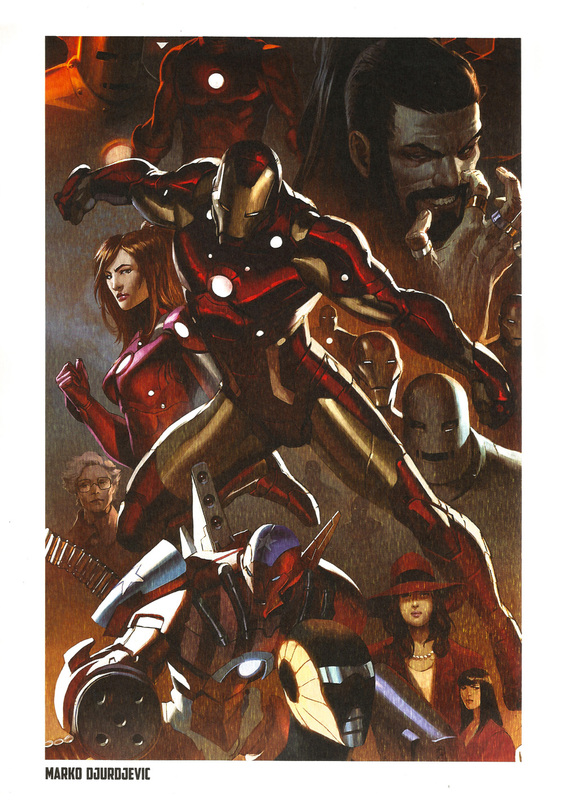 Semic have released five portfolios in this Steel Gallery series; I’ve already reviewed the X-Men and Avengers portfolios, as well as the aforementioned Spider-Man collection. I’ll be taking a look at the last set – Wolverine – in the next week or so.